Do you know what that means? Independence is something that most of us strive for in our day-to-day lives. The ability to provide for ourselves and dictate how we live our own lives is both desirable and rewarding. As a hair stylist, you generally begin your career in a hair salon owned by a corporate company or a private owner. Regardless of how the salon is owned, there are certain aspects of salon work that are less than satisfactory, especially for hair stylists. In this blog, we are going to discuss some of the major benefits of being an independent hair stylist. Hopefully, by reading our blog, you will have a better understanding of what being an “independent stylist” means and the steps you need to take to become one. Being your own boss is very beneficial for those who don’t like reporting to a supervisor every day. Even if you have a fair, or amenable boss, they still are in charge of you and you are responsible for servicing any customer that walks through their business’s front door. This means that you can be assigned clients that you do not want to work with, complete certain styling jobs you do not care for, and so one. Also, reporting to a boss means that all of your breaks or time off have to be pre-approved. This means that your boss has to acknowledge that you are taking time off and must redo the schedule each time a shift is changed. With this in mind, some bosses are less likely to allow for time off, especially if the request is last minute or an extensive amount of time. So, say you have an important event coming up and you need time off. It is up to you to make sure that you request the time off months in advance. Not only that, but some companies require that you find another employee to make up the time that you are absent. When you are your own boss, you report to no one. You work when you want and for as long as you want. Instead of relying on a customer-sharing system that is used in most boutiques, you work with the clients you want, when you want to. Creating your own books can be beneficial, especially if you have certain clients that you don’t want to work with. For instance, if you work at a company salon, you generally have no choice of the customers you work with. That means that whoever walks through the front door of the salon, is serviced. This can be problematic for some stylists, especially if they don’t like working with certain customers. Children are the type of customer that some stylists struggle working on. For one, children can cry, scream, or squirm while getting their hair cut. 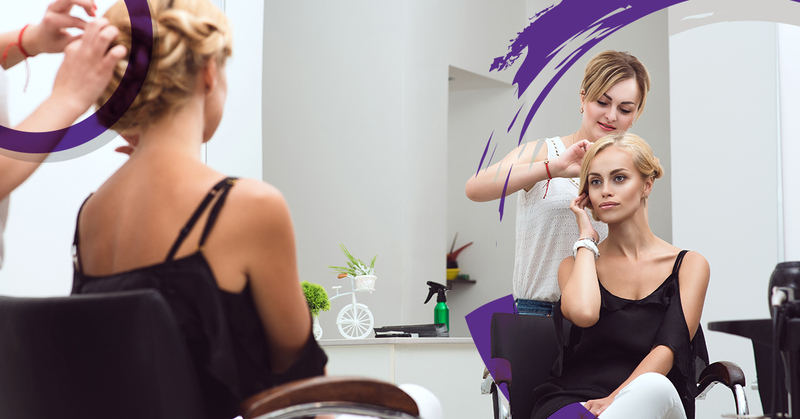 When clients are less than still in your stylist chair, it can make you nervous and less likely to work with them, if given the opportunity to choose. Building your own client book means you decide who you work with. So, if you don’t like working with kids, you aren’t forced to. Instead, you can build a client book from kind, loyal customers! As stated, when working with a company salon, your ability to take time off is severely restricted. Most of the time, you won’t be able to take time off unless it is a severe emergency. This means you could miss important events in your life, just because you couldn’t get your time request accepted. Well, when you are your own boss, you aren’t at the mercy of anyone; you make your own schedule. This means you can make time for your family and for yourself. Even when certain things aren’t an emergency, they are still important. For instance, running errands during your break, going to the doctor, and even handling matters at home, are all important things to do in your life. When you are working constantly, you don’t have the time to make important trips and complete essential errands. Not only will you be able to take time off for important things, this means your life can be far more organized. For example, by building your own schedule, you can choose when you want to work for the week. So, if you are not an “early bird” you can choose to schedule your clients later in the day. This can keep you feeling rested and alert for your clients. Also, by being able to formulate your schedule, you can expand certain breaks. For example, most company salons allow workers to have a 30-minute lunch. When you are the boss, you get to choose when you eat lunch and for how long. Though this is a small perk, it is still advantageous to call the shots when it comes to your career. For some hair stylists, creativity is their fuel. In many hair salons, creativity is not encouraged. Why? Well, most customers don’t want wild or fashionable hairstyles. Instead, most customers prefer mild trims and subtle cuts. Most hair stylists cannot take it when their creativity is squashed and discarded. When you work for yourself, you have the freedom to flex your skills and create something new. Hair styling can be a lot more than trims and simply cuts, in fact, the world of hair styling is massive and varying. With the freedom to do as you please, you can help clients achieve their wildest of hair requests. For instance, if someone wanted their hair dyed with patterns or color combinations, as an independent stylist, you could handle those types of requests. If you are tired of completing the same tasks every day, perhaps becoming an independent hair stylist is the right choice. 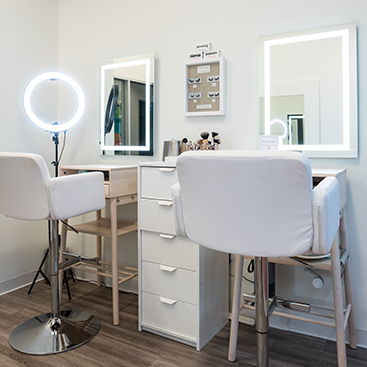 With your own salon studio, you can work with who you want and offer them exclusive services that only you can provide. When you work independently, you have a choice in how you work, where you work, and when you work. With this independence, also comes great responsibility. You will ultimately be responsible for your schedule and how much you will be paid. That means you must manage how much income you are bringing in from your hair salon. Though there is quite a bit of responsibility associated with being your own boss, you have the opportunity to make your job what you would like it to be. In most salons, there are restrictions as to what you can have at your styling stations. Most importantly, there are rules regarding how you personalize your own workstation. When you are your own boss, renting your own salon suite, you get to organize your workspace how you would like it to be. If you are interested in a salon suite of your own, contact our company. 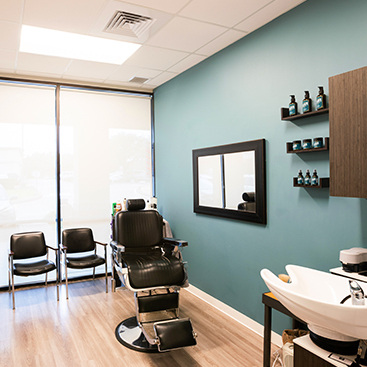 We can offer your business a fully furnished salon where you can set up your own workspace. Offer an incredible salon service to your customers, with Mattison Avenue Salon Suites & Spa. Contact our business today if you would like to be your own boss.